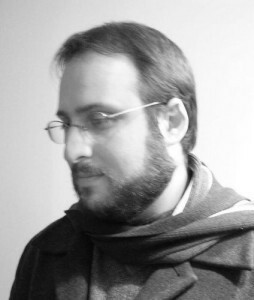 Seth Abramson is a poet, editor, attorney, and freelance journalist in Madison, Wisconsin. A graduate of Dartmouth College, Harvard Law School, and the Iowa Writers' Workshop, Abramson is the author of three collections of poetry: Thievery (University of Akron Press, forthcoming 2013), winner of the 2012 Akron Poetry Prize; Northerners (Western Michigan University Press, 2011), winner of the 2010 Green Rose Prize from New Issues Poetry & Prose; and The Suburban Ecstasies (Ghost Road Press, 2009). A contributing author to The Creative Writing MFA Handbook (Continuum, 2008), he is also Series Co-Editor for Best American Experimental Writing, whose first edition will be published by Omnidawn in 2014. Presently a doctoral candidate (ABD) in English Literature at the University of Wisconsin-Madison, he has published work in numerous magazines and anthologies, including Best New Poets (University of Virginia Press, 2008), Poetry of the Law (University of Iowa Press, 2010), Poetry, American Poetry Review, Boston Review, New American Writing, Harvard Review, AGNI, jubilat, and Colorado Review. In 2008, he was awarded the J. Howard and Barbara M.J. Wood Prize by Poetry. A former commentator for Air America Radio and a Koufax Award-nominated political blogger, his essays on poetry, politics, and higher education have been cited by The New Yorker, Rolling Stone, The Economist, The Los Angeles Times, Inside Higher Ed, The Chronicle of Higher Education, New York Magazine, Poets & Writers Magazine, Jacket, the Poetry Society of America, and elsewhere. From 2001 to 2007, he worked as a staff attorney for the New Hampshire Public Defender.